Beautiful, private and tree-filled setting at Silverado Country Club. A home of fine quality and luxurious amenities; set upon a spacious 1/2 acre w/ filtered views and a wonderful sense of light & space. Your guests will enjoy the detached guest house above the garage. 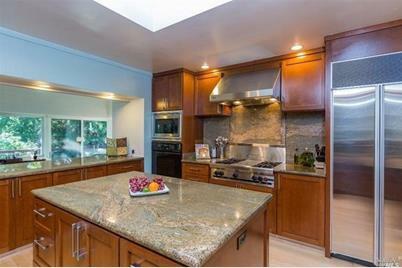 Recently remodeled chef's kitchen with upgraded stainless appliances. Large master bedroom suite with decadent master bath and generous walk in closet. Silverado membership avail. Cross Streets: St. Andrews Dr.
Driving Directions: Monticello or Hardman to Atlas Peak Rd. to Hillcrest Dr. to St. Andrews Dr. to Burning Tree Ct.
37 Burning Tree Court, Napa, CA 94558 (MLS# 21417549) is a Single Family property that was sold at $1,500,000 on March 13, 2015. Want to learn more about 37 Burning Tree Court? Do you have questions about finding other Single Family real estate for sale in Napa? You can browse all Napa real estate or contact a Coldwell Banker agent to request more information.